I adore Lemon Pound Cake. What’s not to love. 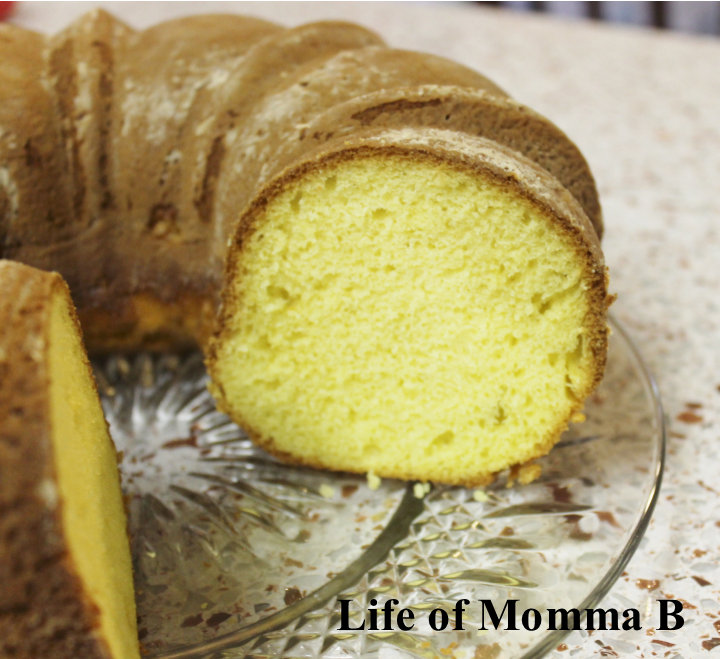 A simple cake made using a box mix with the delicate taste of lemon. And it requires no icing. It’s perfect for dessert and for breakfast. Combine all ingredients in a large mixing bowl. Beat at medium low for 3 minutes until all ingredients are well combined. Stopping to scrap the bowl half way through. Pour the batter into a greased and floured bundt pan and bake for 50-60 minutes. The cake will start to pull away from the edges and a toothpick inserted in the center should come out clean. Allow the cake to cool in the pan for 20 minutes before removing from the pan. This entry was posted in Recipes and tagged cake, dessert, lemon. Bookmark the permalink.